The folk art forms of Mexico were primarily intended for ritualistic purposes and are noted for their utilitarian value. Indigenous Mesoamericans, such as the Olmec, Zapotec, Mayan and Aztecs created a wide variety of vessels and effigies to convey their culture. The cultural disparities are seen in the ancient religious icons and in themes, such as the ‘Day of the Dead’, an ancient ritual of the region. Antique items that portray the unique Mexican folk art include pottery, figurines, textile fabrics, baskets, wood carvings, toys and masks. The Spanish conquest of Central America in the mid-sixteenth century introduced European art techniques, including mineral glazes, hand-blown glass and the potter’s wheel. Pottery is perhaps the oldest art form, used for storage, decoration and ceremonial purposes. Weaving is also an ancient craft that depicted popular folk art forms. Though cotton, agave and bark were predominantly used, wool and silk crept into their weaving practices via Spanish influence. Basketry, including gourd baskets, made from huge seeds and fruits are unique to Mexican craft. Glass was used in urns and jewelry. Toys played a major role in exuding the antique art form of Mexico. They include several items, such as dolls and figurines used for ceremonial purposes. Bark paintings, clay paintings and wood paintings are commonly seen on antique items. Wood paintings involve pyrography techniques, whereby handmade tiles portray paintings of the lives of Mexican pueblos. Natural dyes were extracted from plants and insects to provide colour tones to the textiles and sculptures. 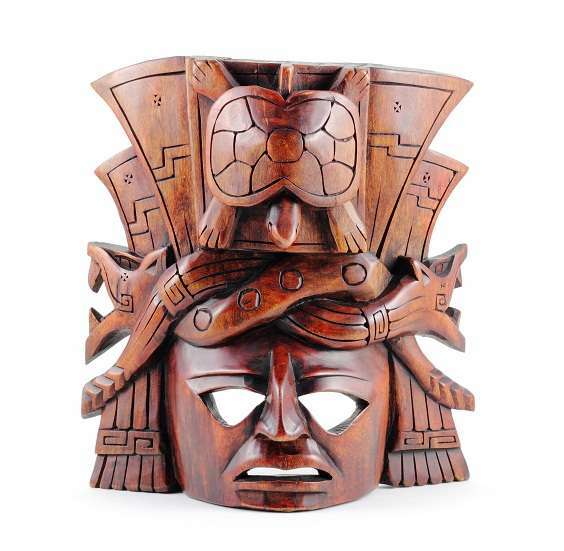 The Oaxaca woodcarvings date back to the pre-Columbian cultures and they were used to portray the mythological characters. Copal wood was popularly used for the Wood carvings of the Oaxaca Valley. It is carved while soft to render a high degree of intricacy and then sanded, finished and finally painted with bright acrylics. Present day Mexico displays its antique folk art forms through galleries, exhibiting murals and historic art. A few public buildings are decorated with historical themes by renowned artists. Collectors and aficionados are involved in building their collections and supporting museums. Many groups organize events including activities related to the Day of the Dead. Mexican antiques drew the interest of the Americans in the twentieth century when plenty of antique items came to the market in the Mexican revolution period. Mexican antique folk art gives a glimpse of the fascinating blend of indigenous American cultures and Spanish colonial influence.